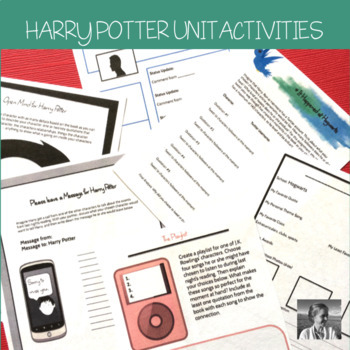 Whichever Harry Potter novel you're teaching, these creative activities will help inspire your students to engage. As students engage in fun activities like tweeting for Harry, creating a playlist for Hermione, and inventing a comic book version of the novel, they'll hardly realize how much critical thinking they're doing. "Can't wait to use this unit." 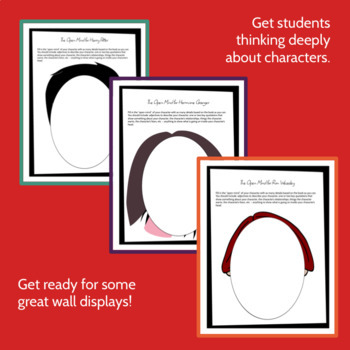 The Open Mind Posters: In this in-class activity, students create posters of what is going on inside several main characters' heads. Makes a great display on the wall when they are done. Yearbook Page: Students choose a character from the book and imagine what his or her yearbook page might look like. Facebook Profile: Students create Harry Potter’s Facebook page. Tweets: Students write tweets from the perspective of Harry, Ron, or Hermione, discussing recent events in the book. #Ithappenedathogwarts! Pen Pal: Students write letters from a character within the book to a student at their school. Cast the Movie: Since Harry Potter is already a hugely popular movie, students are asked to cast a new version entirely out of characters from other books they have read. 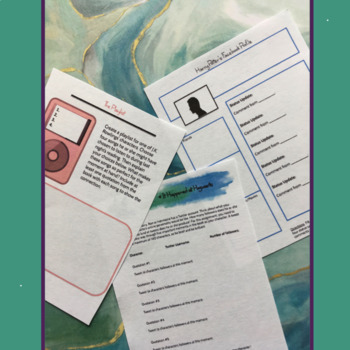 Ipod Playlist: Students choose four songs that a character might have chosen to listen to during recent events in the text, and explain their choices. Leave a Message: In this partner activity, students discuss what message some character would choose to leave on Harry Potter’s voicemail, based on recent events in the text. Comic Book Version: For this activity, students create a three panel comic strip based on the recent reading. 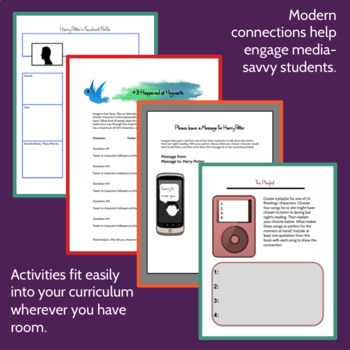 Want to try ONE-PAGERS with your students? Learn how to do it successfully and get four free templates to guide even your art-hating students to success right here.